Since Kevin “Happy” Harvick finished in the top 10 this weekend you can snag FREE food on Monday, October 20. 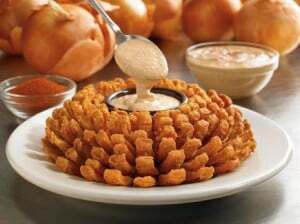 Just say “Bloomin’ Monday” to your server and you’ll be able to enjoy a FREE Bloomin Onion with any purchase! Sign up here to be notified of future FREE bloomin’ onion offers.